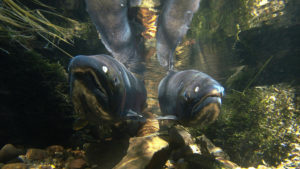 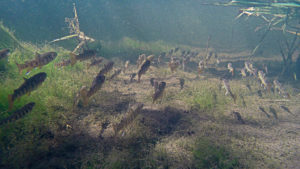 The first series of photos below were taken in Beaupre Springs pond. 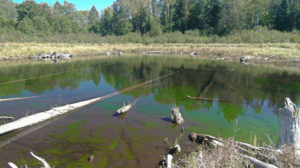 Prior to the Club's restoration work (2012 - 2014), this pond had become disconnected from the Brule system due to 3 long-standing beaver dams (click on Beaupre Springs to see photos of the restoration work). 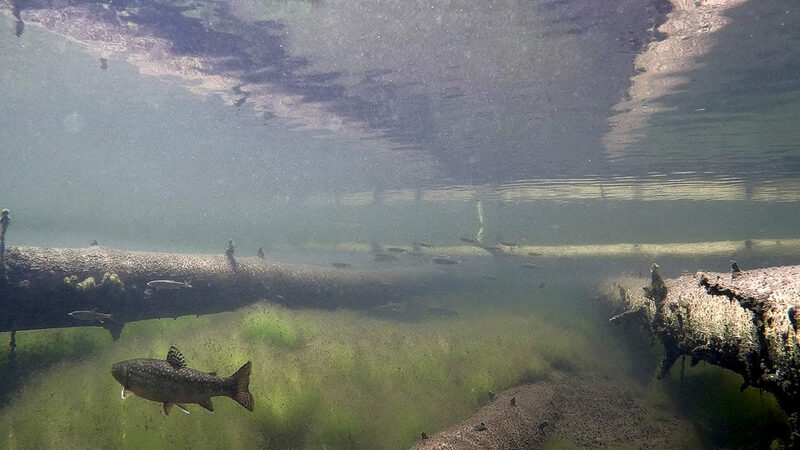 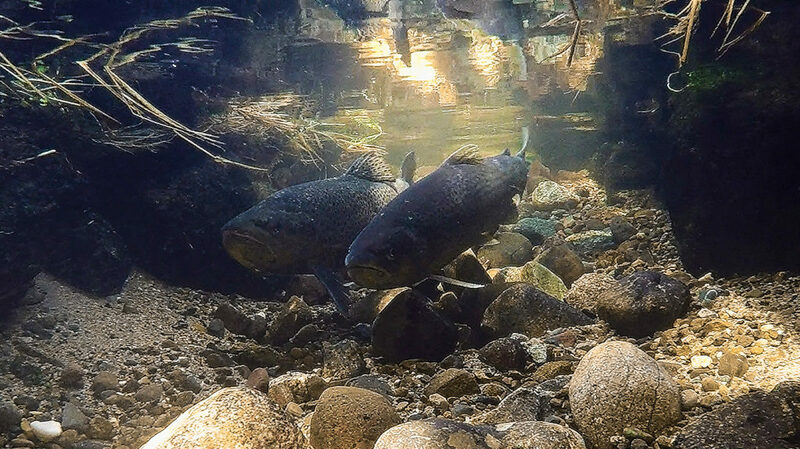 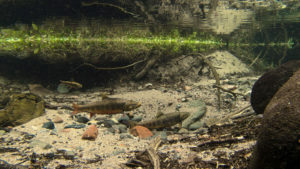 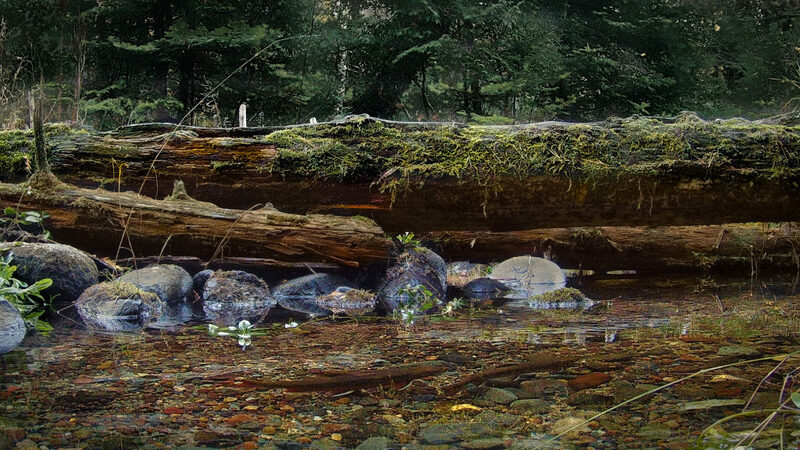 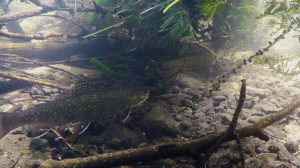 Further, water in the beaver ponds warmed above lethal levels for trout during certain times of the year and water evaporation from the ponds was great enough that no water flowed in Beaupre Springs Creek below the dams. 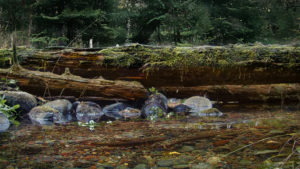 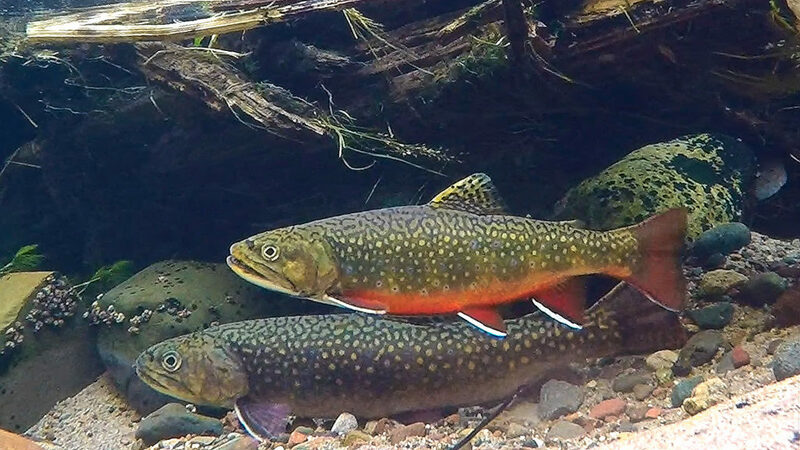 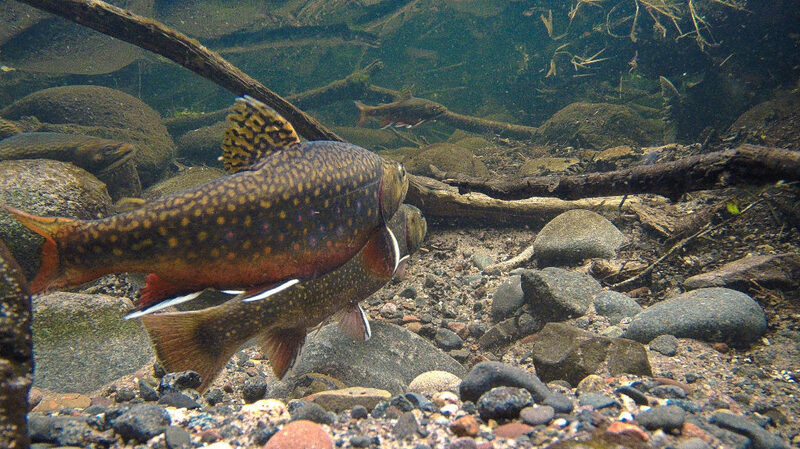 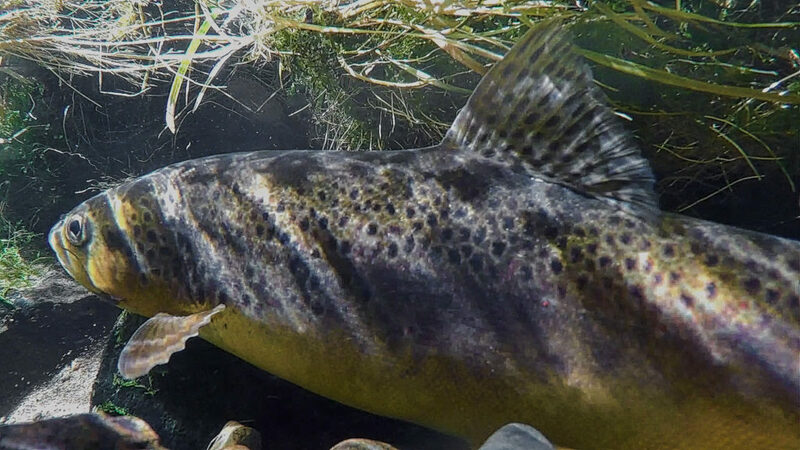 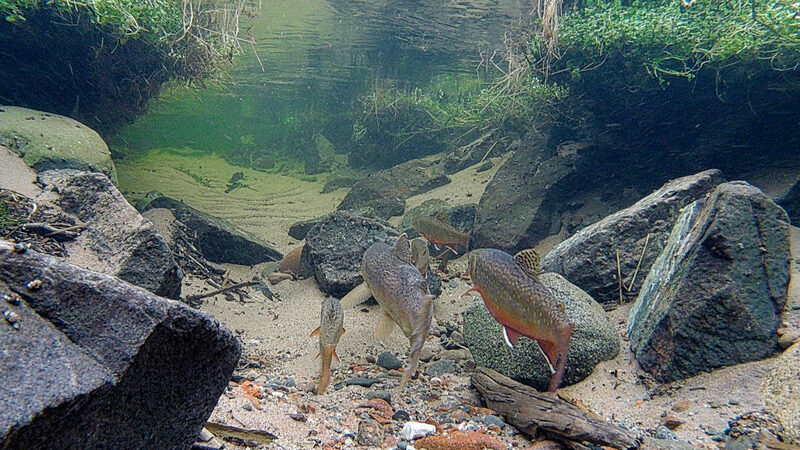 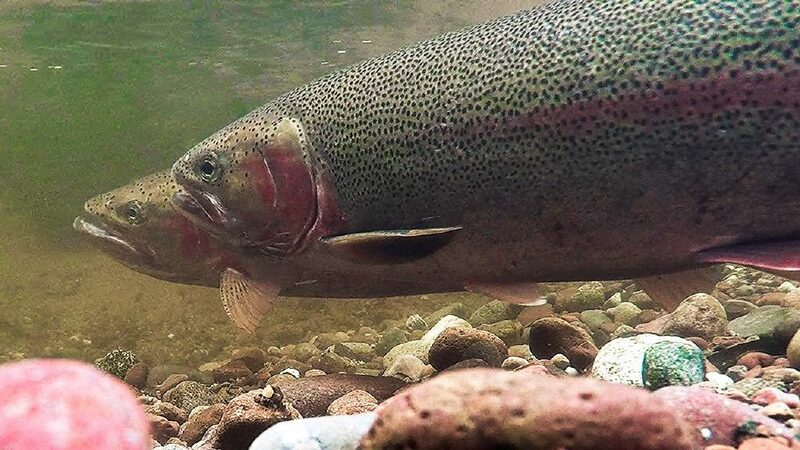 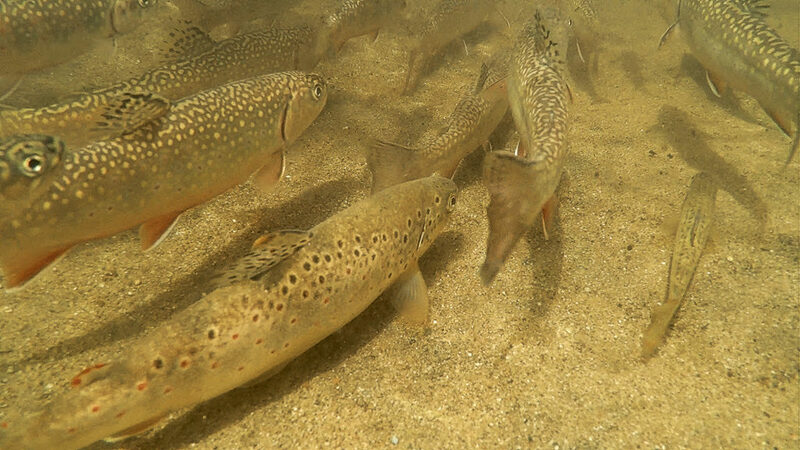 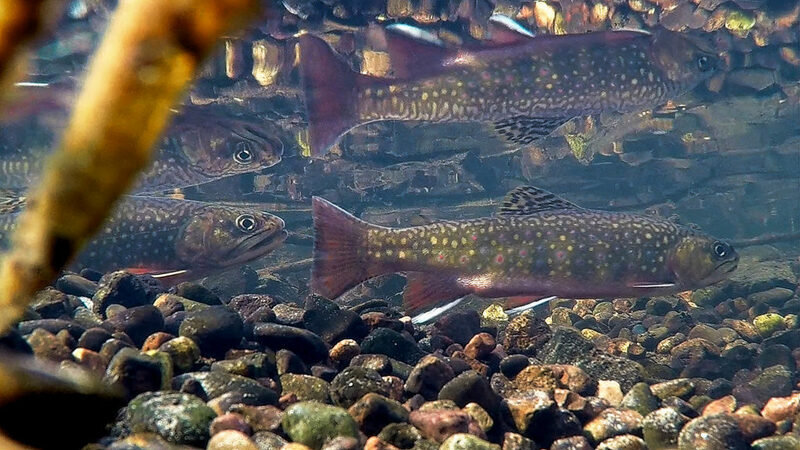 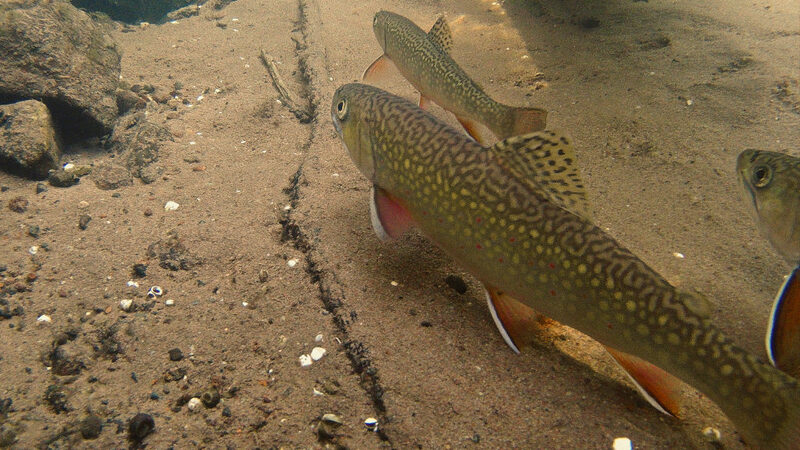 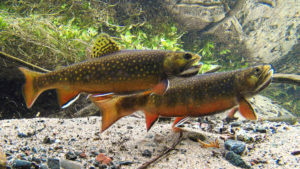 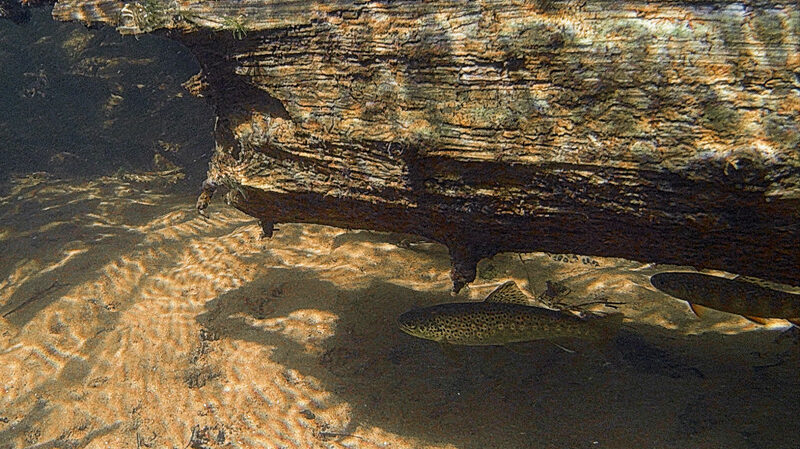 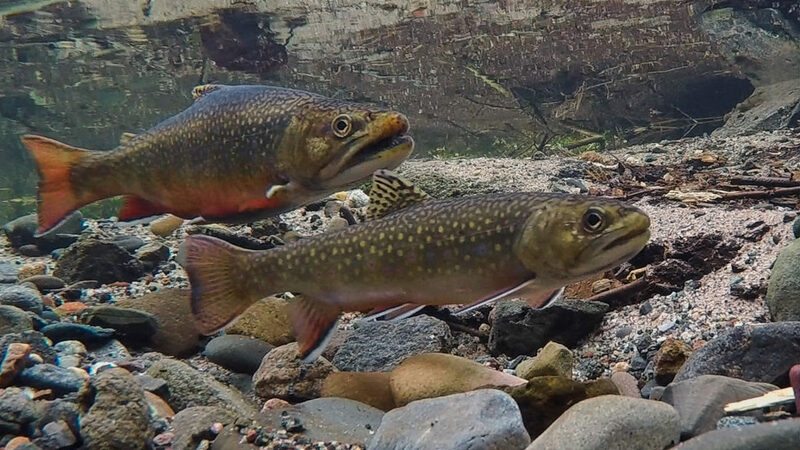 With the dams removed and flows restored so that the spring pond was connected to the East Fork of the Brule, brook trout, cohos, and brown trout were soon using the spring pond. 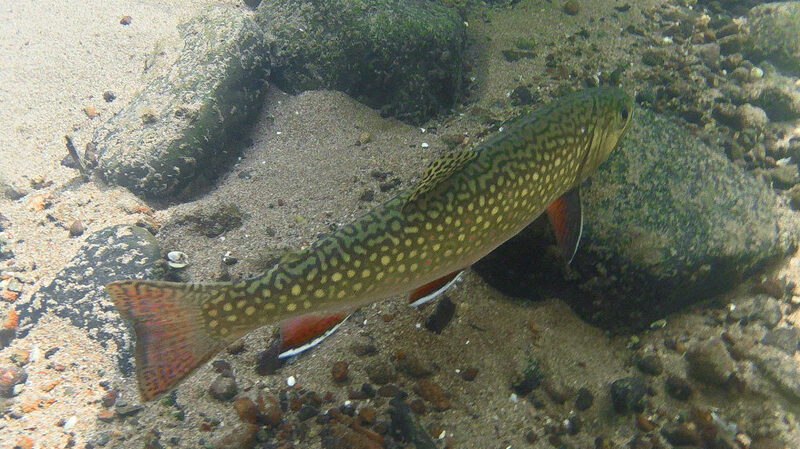 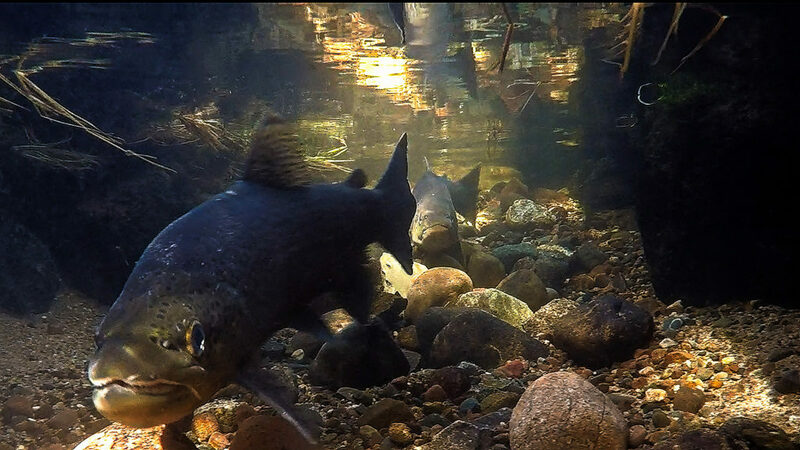 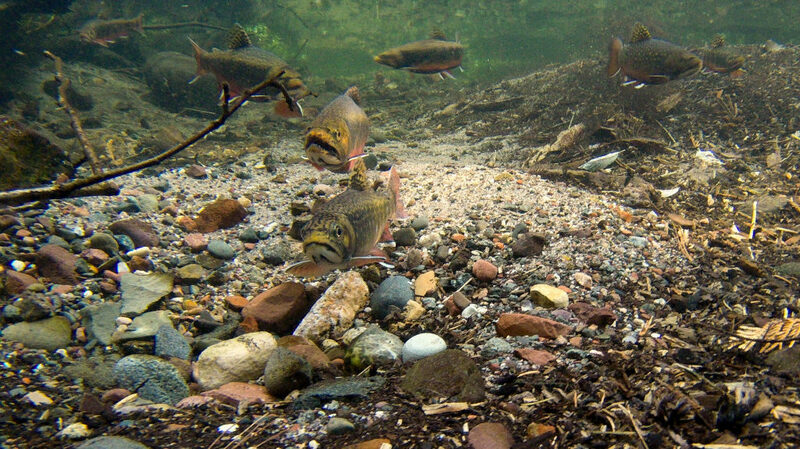 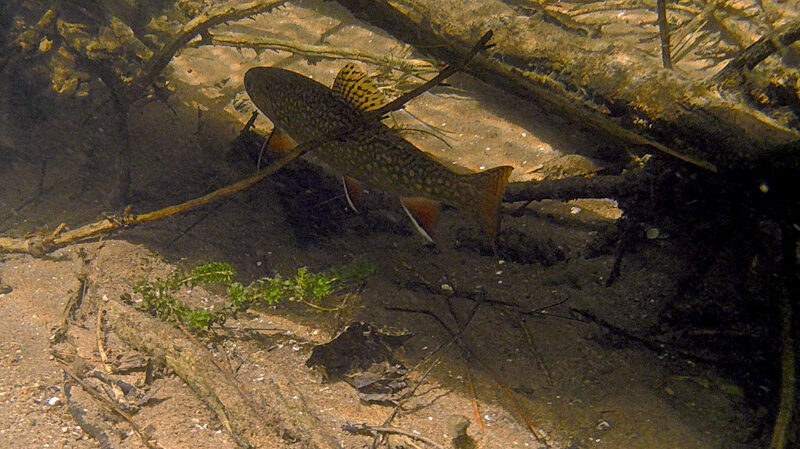 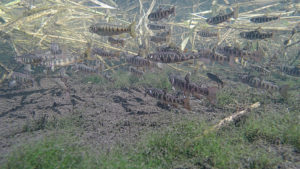 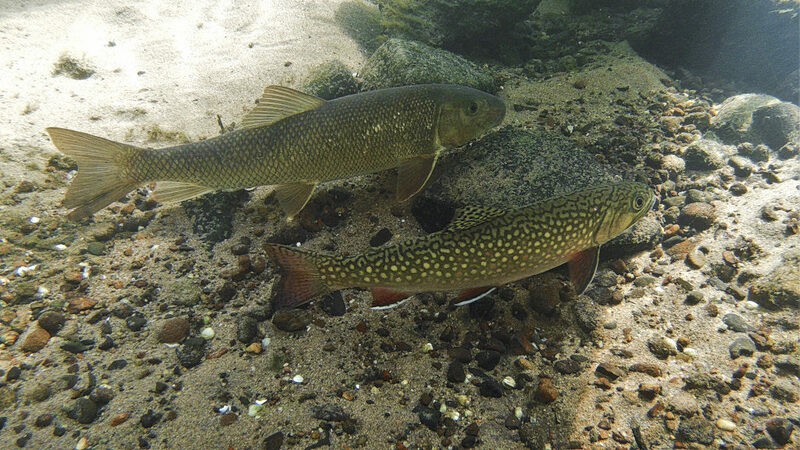 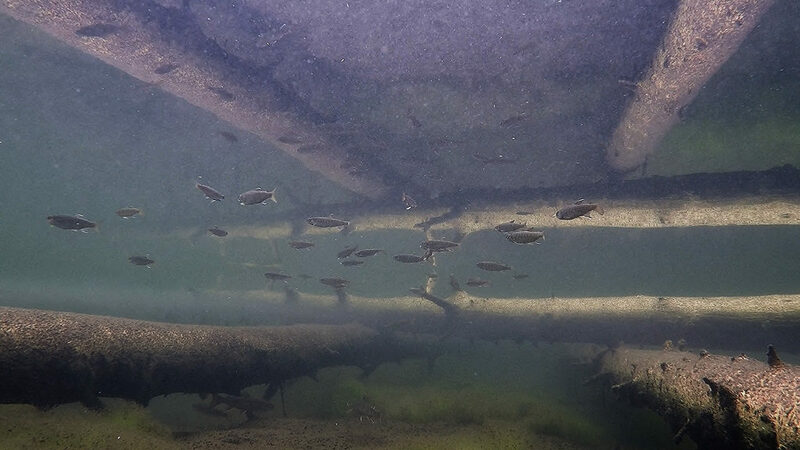 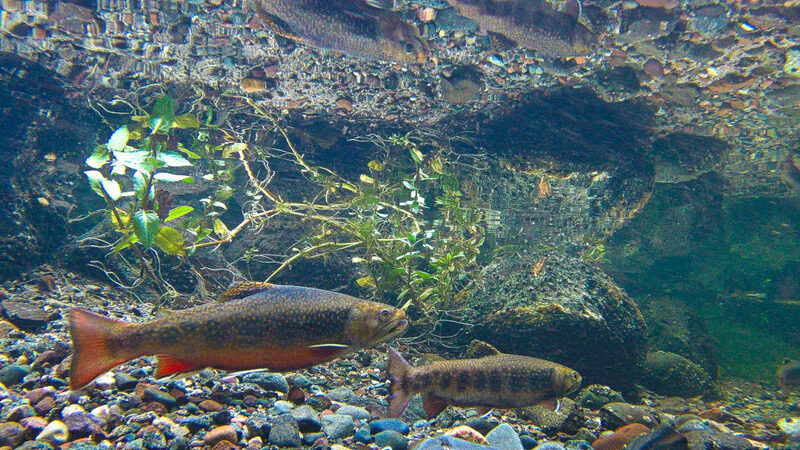 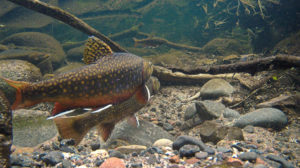 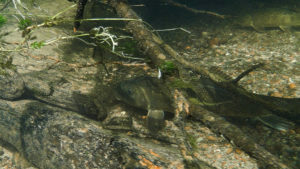 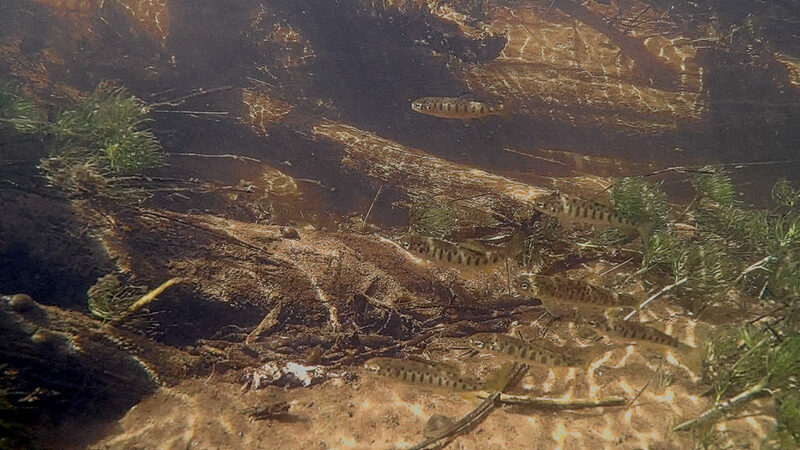 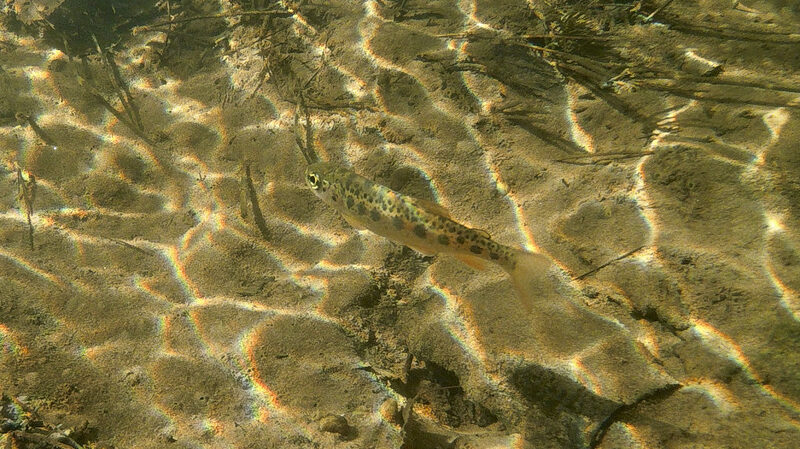 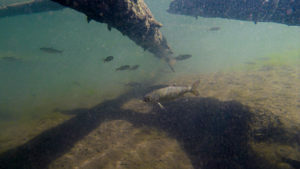 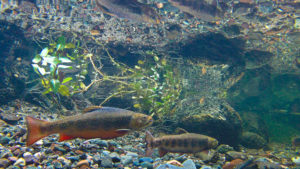 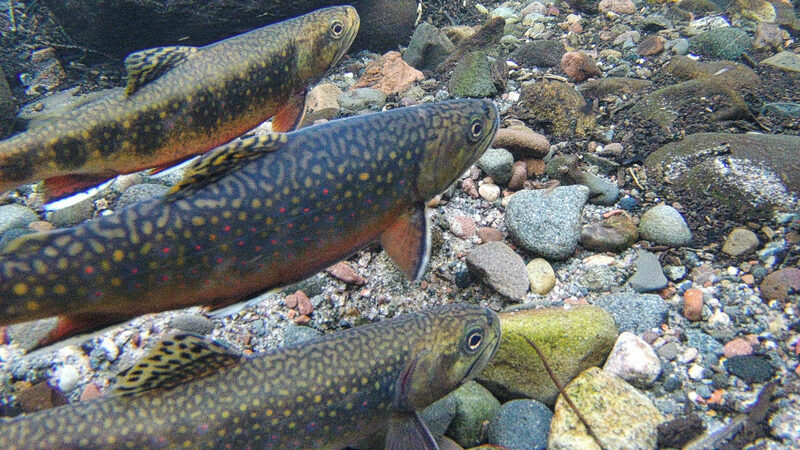 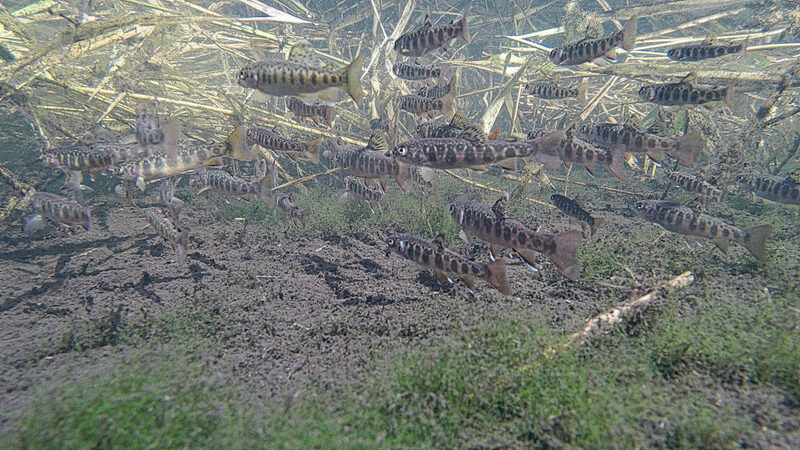 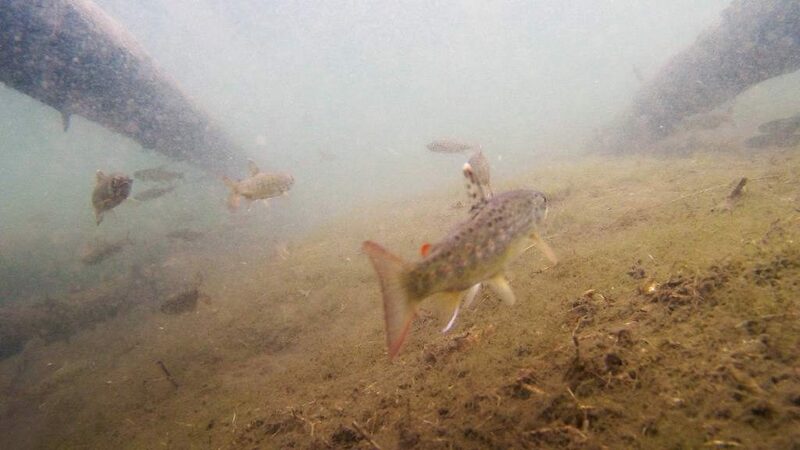 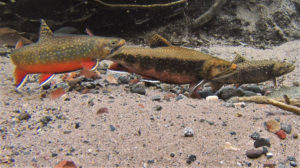 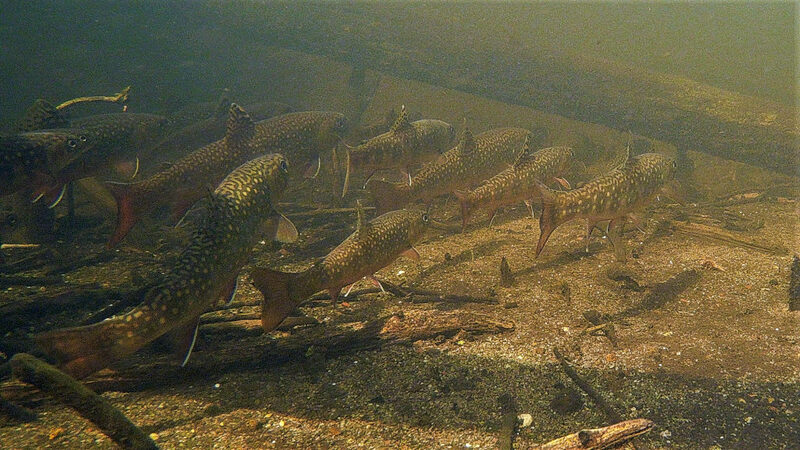 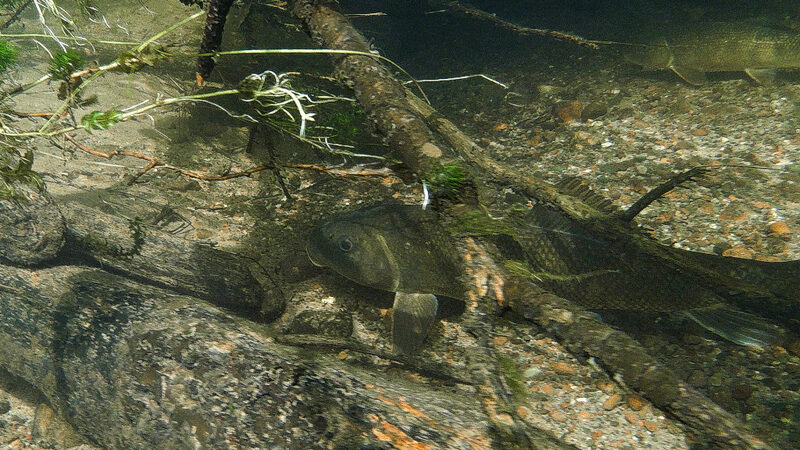 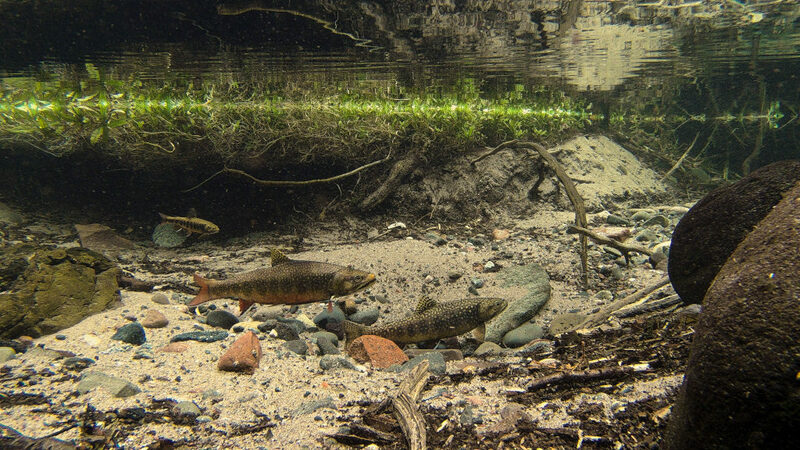 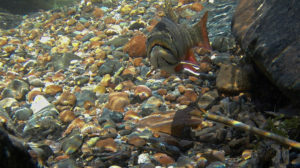 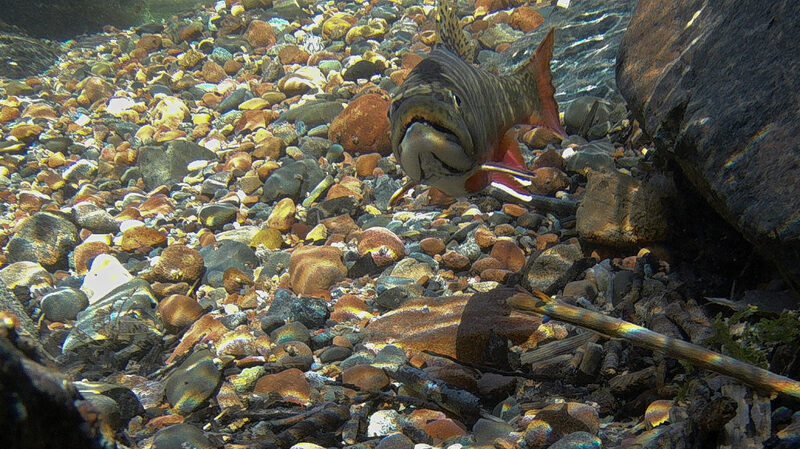 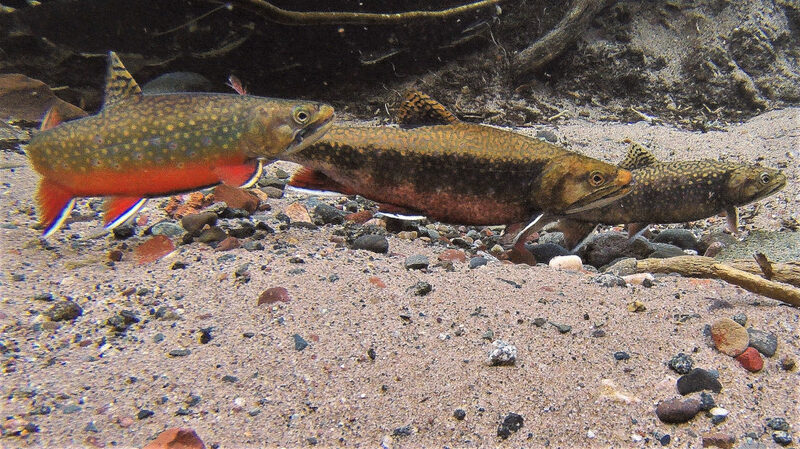 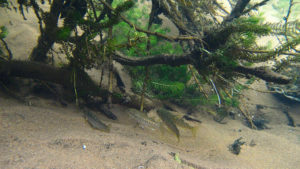 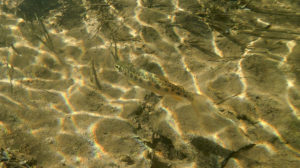 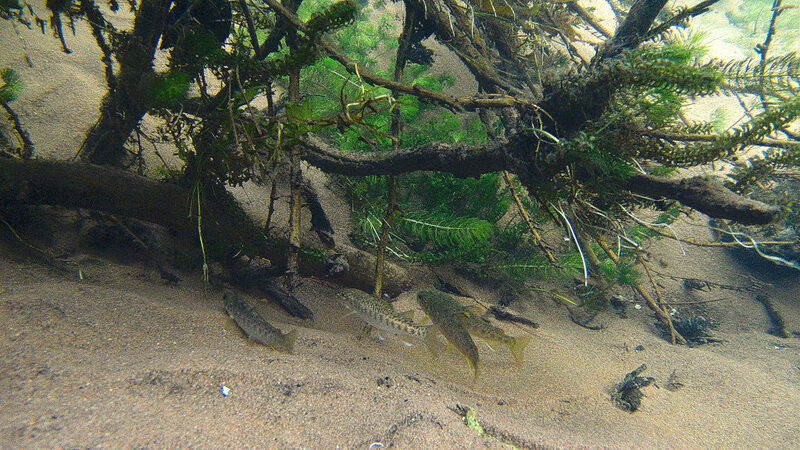 The remaining photos show fish using various Brule River habitat in the vicinity of a number of other DNR - Club projects. 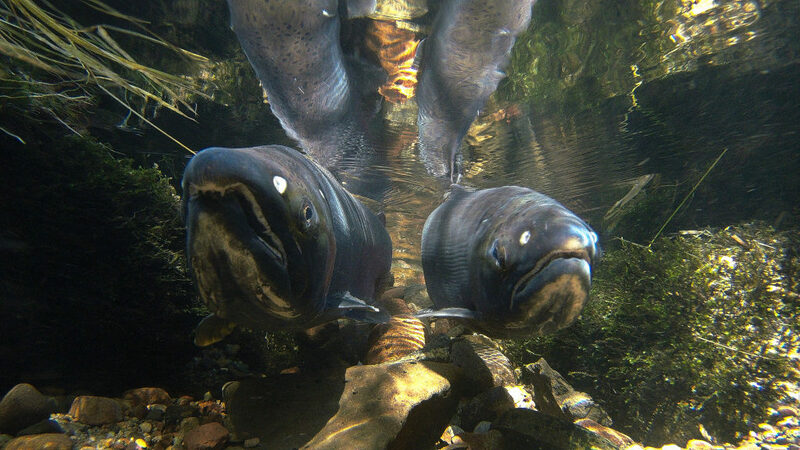 For links to maps, descriptions, and photos of individual habitat projects click on Project Table.